There’s an old stupid joke about yogurt having more culture than Canada, but it will only take five minutes with chef Thomas Naylor to highlight just how incorrect that is. 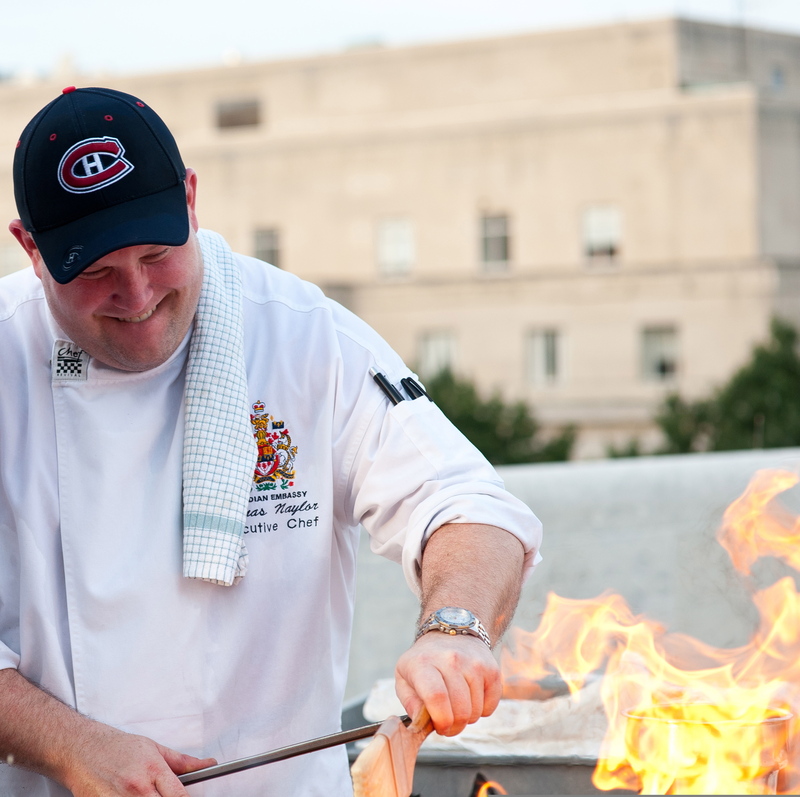 The 10-year veteran of the position of chef at the Canadian embassy allowed Eater to step behind the scenes during a recent event for the Toronto Maple Leafs. He discussed cooking for diplomats and Arnold Schwarzenegger, as well as Canadian culinary delights from caribou to cod cheeks with scruncions. And he shared why the best poutines are the ones you eat when you’re drunk. How did you end up cooking at the Canadian embassy? I was working north of Ottawa and I went down for a meal and the chef was telling this story about one of his employees that was going to interview for this job. In the hotel where I was the executive chef I worked 16-18 hour days. Three times in a row I didn’t have a day off for 30 days. Obviously there was no vacation for almost 2 years. It was all about my job — food was my lover. So when this guy told me about this job I thought, “Well, I could pick up any moment and leave.” They wanted a Canadian chef. They had a French chef and a Belgian chef and they wanted a Canadian chef to bring the Canadian flavor down. There was the original phone interview with the executive assistant. Then there was a phone interview with the ambassador’s wife. Then there was clearance interview. Then a face-to-face with the ambassador’s wife. Then they came up to the hotel on the busiest day I ever had. I had 200 people for a graduation, 150 people across the street in the banquet room for a wedding, 18 people for a tasting menu in the basement, 40 people in another room for a buffet. We had three teams going, no one really knew what was going on and I was doing the interview. I sent out five courses each so they got to taste 10 different dishes and the ambassador almost ate everything. I come into work, check my emails. A lot of the finances go through me, and so I have to keep track of it very meticulously. Then usually I’ll do daily shopping or shopping for an event. And I have to run the house. Think about taking care of a large house, all the plumbing, electrical, window problems, cleaning, putting up the Christmas lights — all that we have to organize. I’m a manager and managing is the hardest job to ever have. Not only am I an executive chef but I can’t yell at anybody. I used to, and it was a really great way to get things done. But now I have to be so diplomatic. ← Ribeye, Not Too Cooked!